Although you may choose a graphic designer to create a profile picture and cover photo for your page, photographs of your business and products are even better. The only time you need to start paying for Facebook is for specific advertising such as increasing page likes, boosting posts and running Sponsored Stories – all of which are relatively low-cost, easy to set up and more targeted to your ideal audience than the more traditional channels. Facebook has a lot of users but not all of them will be interested in your business! You need to find people who will not only like your page but also engage with your posts. You can create an advert to encourage people to like your page and use the Facebook advertising system to target people who’re already interested in aspects of your business, such as photography or weddings or sports. Even better, if you’re a local business, you can target potential customers within a certain radius, say 10-20 miles. 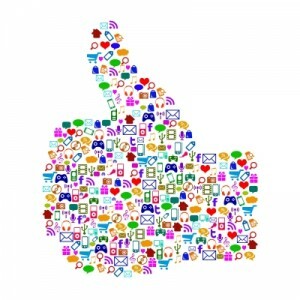 It’s great to have lots of likes and engagements on your page but are you talking to them outside of Facebook? A good way to gather email address for your mailing list is to create a competition or a newsletter sign up. Once you have a list of contacts, be careful not to bombard registered users with constant sales emails – one a week will be enough and be sure to include some useful information with a link back to your website. With Facebook Insights you can immediately view how many people like your page, have seen your advert or boosted posts, who is liking and sharing your posts or page and much more! Stats are also often available for checking out demographics of your engaged users, depending on the specifics of your advert targeting. If you post consistently to your page and the content is helpful and entertaining, your followers will tend to stay loyal. If potential customers respond to your page and your posts, they’re more likely to do business with you. Especially as many people now look online to find suppliers – and social media is a valuable source for checking out your credentials! If you really want to use Facebook to market your business, don’t forget to post links back to your website! If you have a Facebook business page already, you may also notice that if you run a google keyword search, chances are that the link will show up on page 1 – and the more people who see your presence on the web, the better! With the rapid growth of smart-phones, the majority of Facebook users are accessing the site with their mobile devices. The handy thing about Facebook is that the system automatically optimises your page and your adverts for viewing on both desktop and mobile – you don’t need to do anything else to ensure viewers can read about your business on any device! With more and more companies adding their details to Facebook, you can choose to “watch” their pages. The Insights tool can show you data relating to your competition’s Facebook activity, including the number of posts, fan interactions and their top-performing posts. This gives you a better understanding of what their biggest strengths are, how their marketing works and what improvements you can make to increase your engagement with potential customers.